The next schedule of Sanjay Leela Bhansali’s Padmavati is about to go on floors and apart from the controversial past few weeks, there’s a lot more excitement around this magnum opus. The latest news is that reportedly, Deepika Padukone had secret recce trips to Chittorgarh, Rajasthan as preparation for her role in the film. Deepika made a few hush hush trips to Chittorgarh where she travelled to the historic city without her team. The actress walked around the streets and researched on local history to get the feel and nuance of her character of Rani Padmini. 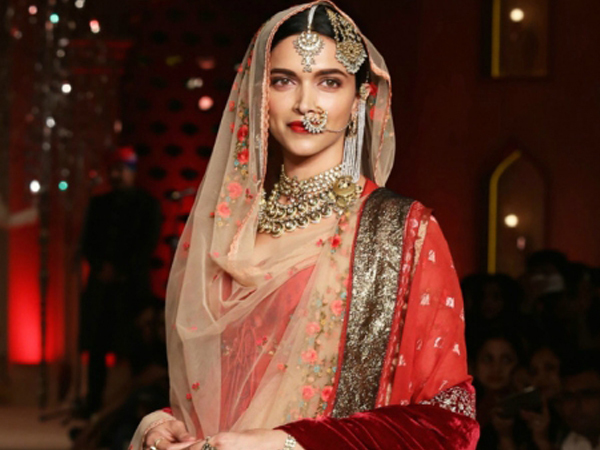 Insiders from the movie revealed, Deepika is leaving no stone unturned for Padmavati. She’s doing extensive research to get her portrayal of the beautiful queen. She last shot for the film in November and December 2016. Sanjay Leela Bhansali’s magnum opus Padmavati has been the talk of the town ever since the film was announced. Initially, there were differences among the lead actors, Ranveer Singh and Shahid Kapoor which made us wonder if the film would ever go on floors. However, that problem was solved following which the sets of the film were burnt in Jaipur earlier this year and then in Kolhapur a couple of months back. The members of the Karni Sena were responsible for vandalising the sets and even attacking the filmmaker. Padmavati is slated to release in November 2017.